OutThere Landscapes & Design is a certified landscaping design and construction company with over 10 years experience, creating magnificent Sydney gardens and outdoor living spaces. From sandstone work through to timber decking and pergolas, we provide the plans required for DA approval all the way through to the construction work. We pride ourselves on being professional and on time with every project. OutThere Landscapes & Design is a member of Landscape Contractors Association Australia (LCA) and the Australian Institute of Landscape Designers & Managers Ltd.
OutThere Landscapes & Design provides professional and unique designs to suit your lifestyle, budget and individual needs. This is where we visit the site to discuss and gather information as to your vision, likes, dislikes, budget and requirements for the site. This also gives us an opportunity to take photos, get to know the site and the surrounding area, vegetation, views, structures, levels, climate and setting. Additionally, determining the availability of drawings that can be utilized; such as survey or architectural plans may help to reduce the cost of the landscape design. Initial fee proposal outlining the scope of professional design services to be undertaken. Before we can make a start on the design, the fee proposal needs to be accepted and sent back to OutThere Landscapes & Design. Using the photos of the site, notes of your brief and site constraints, we get creative and combine all these factors to create a personalised landscape concept plan. All our drawings are created using landscape design software (Vectorworks). We can also have a quote written up using the landscape plan. See construction notes about our quoting process. 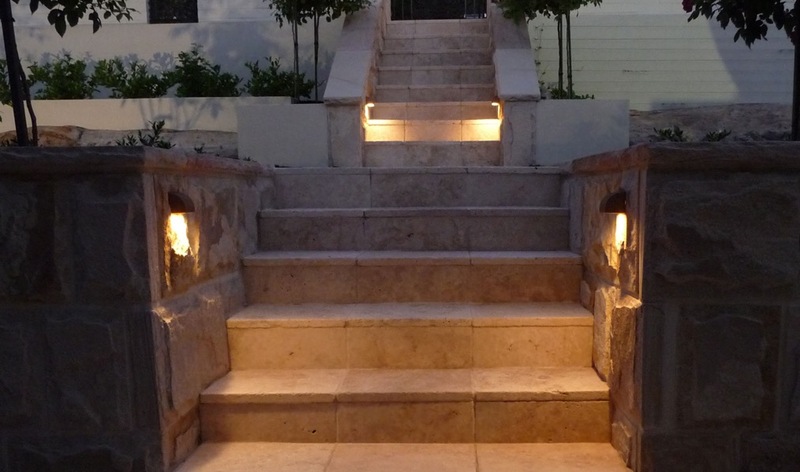 OutThere Landscapes & Design provides a specialized service in all aspects of landscape construction. All construction work is completed by qualified landscape professionals. All work is fully insured, licensed and guaranteed. This is where we visit the site to discuss and gather information as to your vision, likes, dislikes, budget and requirements for the site. This also gives us an opportunity to take photos, get to know the site and the surrounding area better, vegetation, views, structures, levels, climate and setting. Project Management is our specialty. Each landscape construction site is managed carefully with all associated trades being fully briefed on what is required to meet the specifications of the work. OutThere Landscapes & Design pride themselves on attention to detail and quality assurance in the construction of garden landscapes. As licensed Structural Landscapers and Qualified Construction Supervisors the company is highly qualified and fully insured; having extensive experience in managing all aspects of landscape construction. Use the form to get in touch, and don't forget to like us on Facebook. © Copyright 2010 - 2019 Out There Landscapes. All rights reserved.